Van Ness Feldman has one of the largest and most experienced renewable energy practice teams in the country, representing developers, owners, investors, utilities, and other market participants in all renewable technology sectors, including onshore and offshore wind, thermal and PV solar, geothermal, biomass, waste, conventional and emerging hydropower technologies, biofuels, and related infrastructure facilities. Monetization of renewable and emission reduction credits. Van Ness Feldman’s solar energy practice advises project developers, equipment manufacturers, financiers, utilities, and other stakeholders on a wide range of matters, providing input to corporate strategic planning and investment decisions, negotiation of interconnection and power purchase agreements, project development and federal permitting, legislative advocacy, regional electric market participation, assistance with securing federal financial assistance and incentives, and representation before the FERC. Van Ness Feldman’s renewable energy team maintains a robust wind energy practice that includes regulatory approvals for power sales, the purchase and sale of project interests, and FERC regulatory authorizations and compliance. 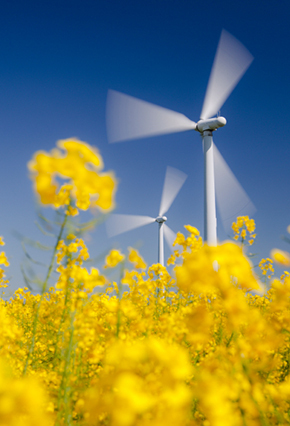 In addition to our highly regarded FERC regulatory practice, we advise clients on the full scope of wind energy matters including project structuring, negotiation of power sale agreements and market participation, obtaining interconnection and transmission arrangements, federal and regional implementation of variable resource integration policies, and environmental matters. Van Ness Feldman advises clients and investors developing, owning, and operating geothermal resources and electric generation projects on the unique complexities surrounding the development of resources on, or that affect, federal lands. We also provide clients with regulatory gap-analysis, develop and execute alternative siting and permitting strategies for state, local and private lands, and advise on transmission and interconnection issues. In addition to our project development and regulatory services, we also are actively involved on behalf of our clients in federal policy formulation and legislation affecting the geothermal sector. Van Ness Feldman's leading hydropower practice team is one of the largest and most experienced in the nation. Our current and recent matters involve over 50 percent of all installed hydroelectric capacity in the United States. The firm advises developers of new hydropower projects, including conventional, pumped storage, and offshore projects. Our capabilities include FERC licensing and relicensing proceedings, regulatory compliance including enforcement proceedings, and non-FERC federal and state regulatory requirements. From cellulosic ethanol and drop-in advanced biofuels to wastewater treatment and green chemicals, there are numerous bioenergy pathways. Van Ness Feldman advises leading companies across this spectrum at every stage of the commercialization pipeline—from lab to market; providing strategic guidance for project development and transactions, feedstock and offtake agreements, assistance with electrical interconnection and transmission service negotiations, and ongoing operational and regulatory counseling to investors and project developers in the biomass and waste-to-energy industries. Some of our recent work on behalf of bioenergy clients includes federal incentives and financing assistance, renewable fuel production, environmental compliance, legislative advocacy, strategic counsel on the impacts and opportunities presented by greenhouse gas regulation, and building coalitions such as the Advanced Biofuels Association, the Biotechnology Industry Organization, and the newly-founded Advanced Ethanol Council. Federal Clean Energy Standard: Game-Changer or Game Over?